Listen to the GOOD news that I have given you, says the LORD. Broadcast that. Speak what I say and think on good things. Plug your ears to the bad news that fills the earth, for I do not want you caught up in it. Be caught up I’m MY indestructible kingdom that has no end. Be absorbed in MY WORD. For I have called you and brought you out of darkness into My marvelous light. I have brought you into My kingdom. My kingdom is filled with righteousness, peace, joy, power and provision by My SPIRIT, says the LORD. You are not limited by what you see and hear in the natural, for I want you to come up higher in Me and hear what I Am speaking. Do not parrot the evil. Repeat after ME! Hear MY VOICE! FOLLOW ME! I Am unlimited and I want you to partake of the My unsurpassed power and provision, says the LORD. As you are a follower of Me you will partake in My righteousness. You will have peace and joy in My Spirit. You will know MY POWER. You will have MY provision. You will receive My unspeakable gifts and have what silver and gold cannot buy. I have called you to be a voice of encouragement and blessing. I have called you to feed the hungry with GOOD things. I have called you to love and be a peace maker as I have given you My unquenchable love and abiding peace. I have empowered you to be an overcomer and a partaker of the riches that I have for you in glory, says the LORD. I have blessed you to be a blessing! Forsake the gloom and doom and dark and destructive and defeatist attitudes and mentality around you and see Me as your source at all times. I will never fail you, and I will supply all your need as you entrust yourself and your life totally onto Me and believe what I Am speaking, says the LORD. 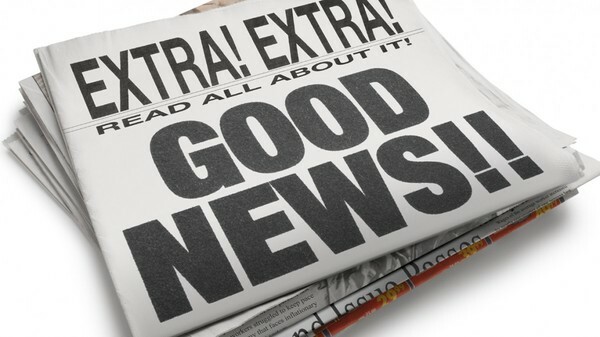 It is GOOD news. I will save your lost, defend you, protect you, deliver you, provision you, Heal the sick, empower you and meet your need by My unlimited power and Spirit and infallible Word, says the LORD.